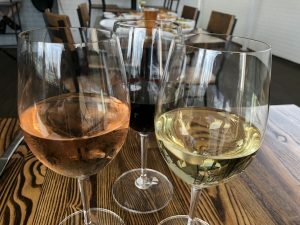 New comers and loyal wine lovers alike are invited to join a complimentary wine tasting on the rooftop of Savi Pharr Road at Rise & Revelry on Wednesday, October 10, 2018. From 6 p.m. to 8 p.m., Eric Brown from SelectioNaturel invites imbibers to sip and savor sustainable, organic and biodynamic wines that are at the forefront of the Natural Wine Movement including: NV il Saliceto ‘L’Albone’ Lambrusco di Modena, NV Cellario È Bianco! Vino Bianco, NV Cellario È Grino! Vino Rosso, 2015 Campanino ‘Rosso Campanino’ Umbria and 2017 Collecapretta ‘Lautizio’ Ciliegiolo Umbria. For ages 21 and up, the wine tasting event is free to attend. 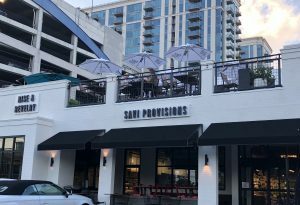 Rise & Revelry is located at Savi Provisions Pharr Road at 308 Pharr Rd NE, Atlanta, GA 30305. The fun doesn’t stop, patrons can also join the Savi Provisions team for the next tasting on Wednesday, October 17th from 6 p.m.to 8 p.m. and take in the wines of legendary winemakers Bob Lindquist of Qupe and Jim Clendenen of Au Bon Climat. For more information on Rise & Revelry, visit www.riseandrevelry.com and for more information on Savi Provisions, visit https://www.saviprovisions.com/.